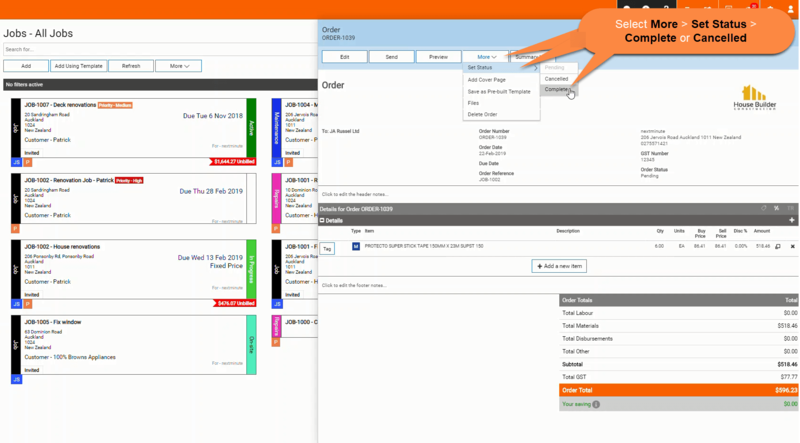 Create an Order for a Job – Welcome to the NextMinute support and feedback centre. 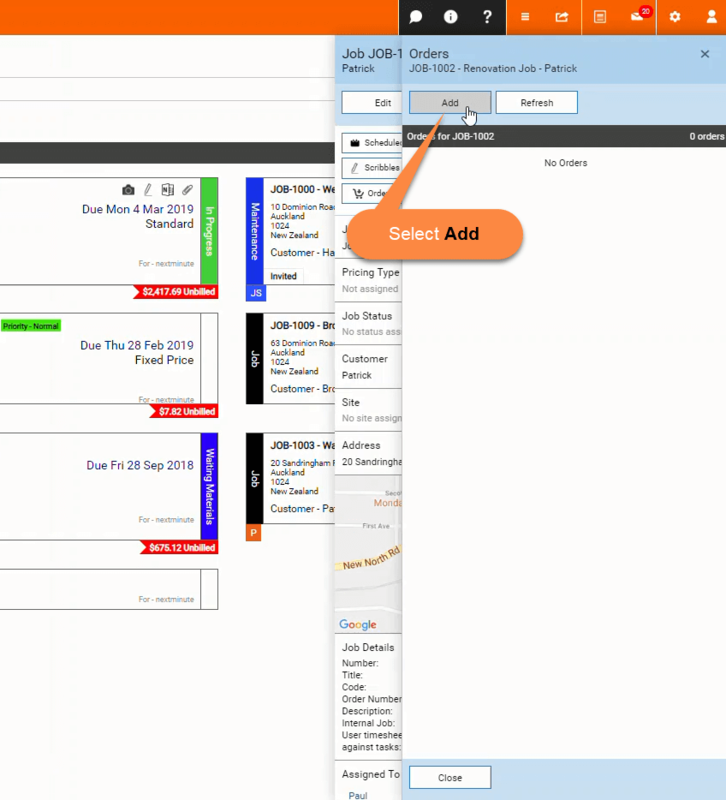 In this article we will take you through the steps to create an Order for a Job. 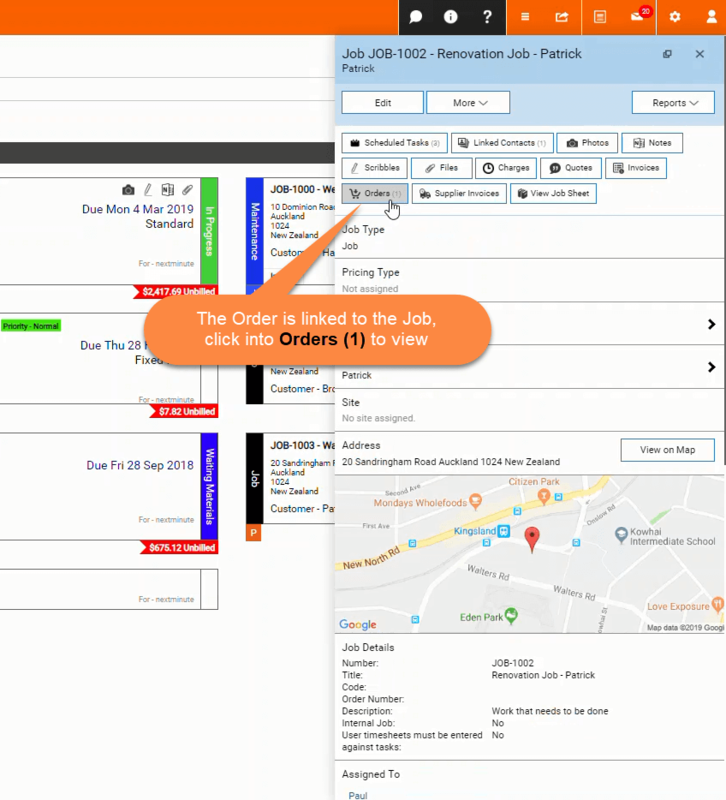 Orders don't need to be linked to a Job you can also create Orders via Accounts > + Add Order. 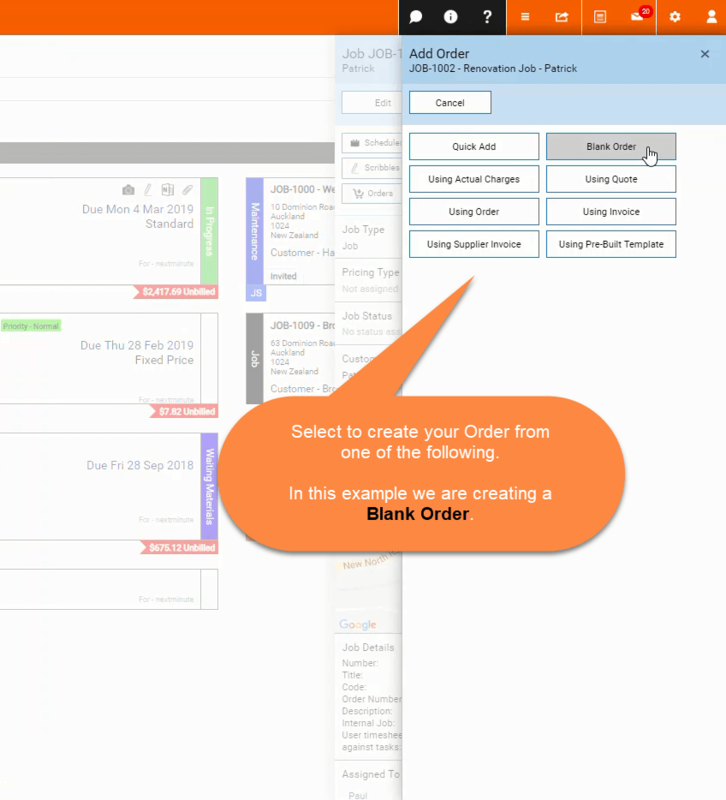 In this example we will create a Blank Order. 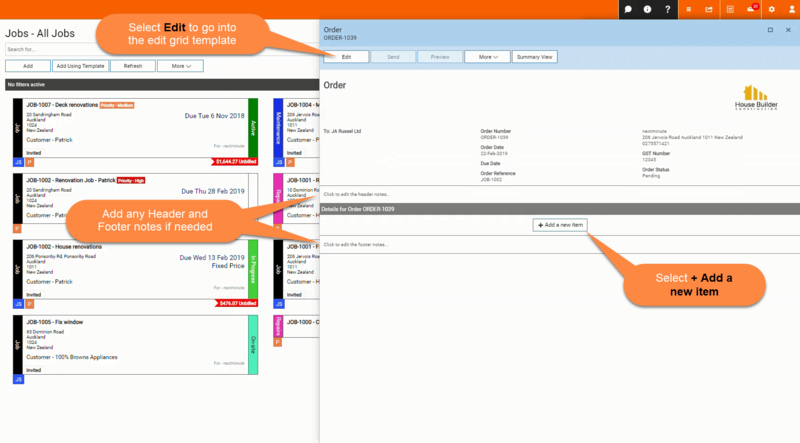 You can also add header and footer notes or go into Edit mode to make any edits within the Order grid template. 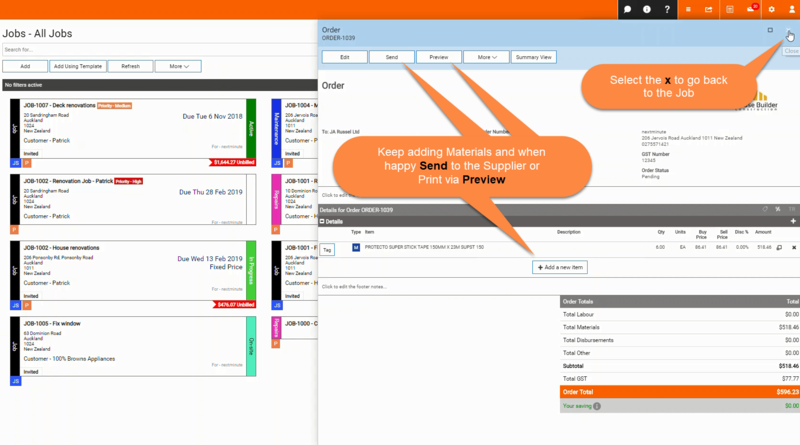 If you don't have the materials in NextMinute you can add these via Sale Items > Materials or add them as "Other" line items and include the SKU Number in the description. See more on importing supplier pricebooks here. 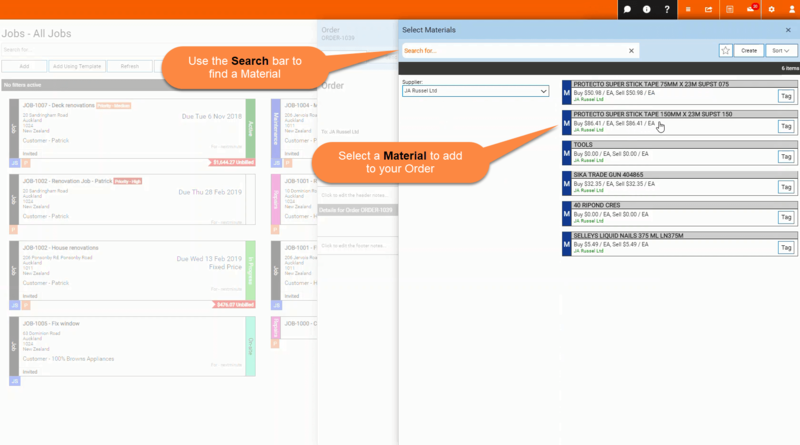 Continuing adding materials to your Order and when happy Send it off to the Supplier. 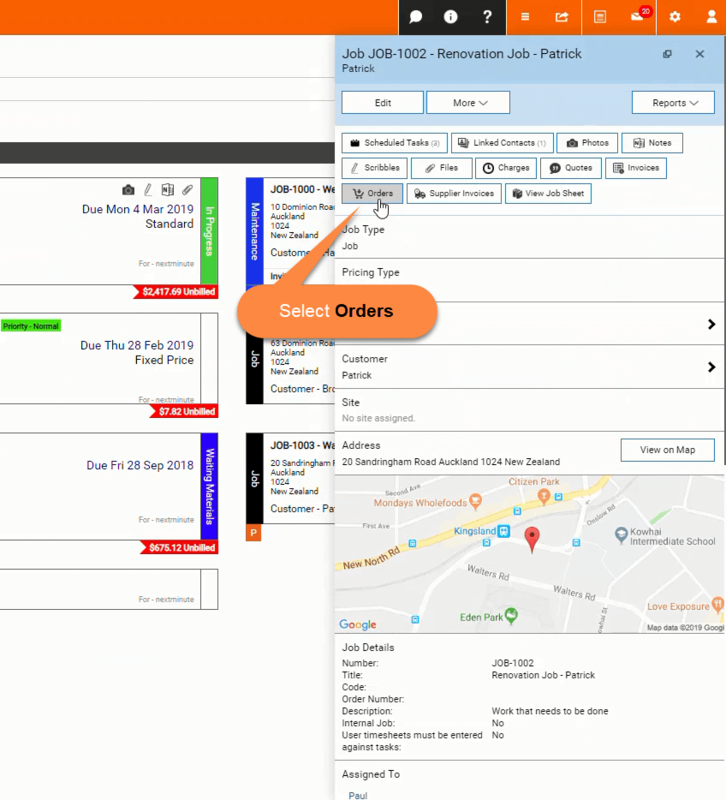 When the order has been received or collected you can easily switch the Order status to completed by going into the order selecting More and Set Status. The same goes for if the Order has been cancelled. 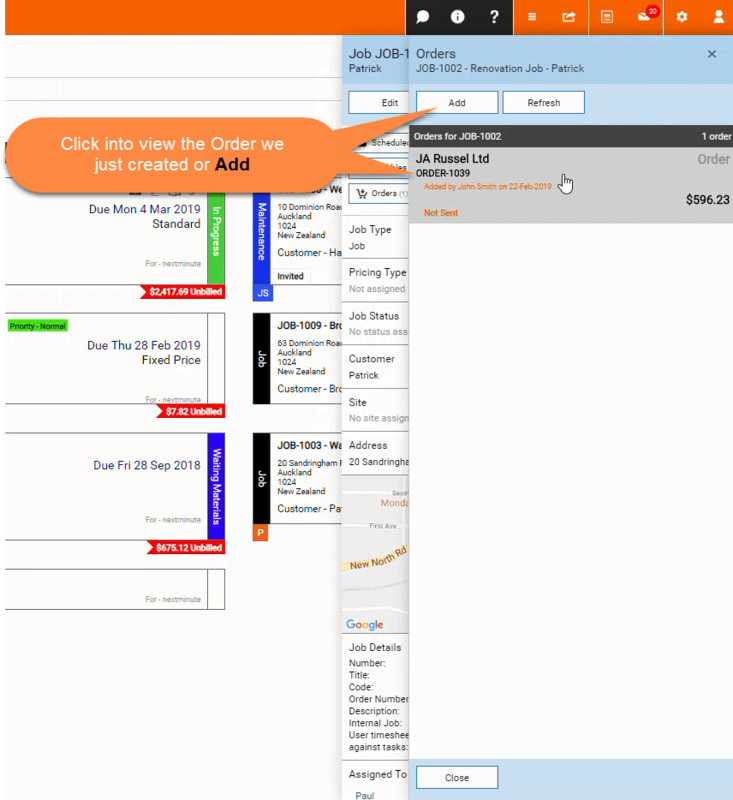 If you have received a Supplier Invoice for the order follow this article. All your Orders you create against Jobs will show under Accounts > Orders. 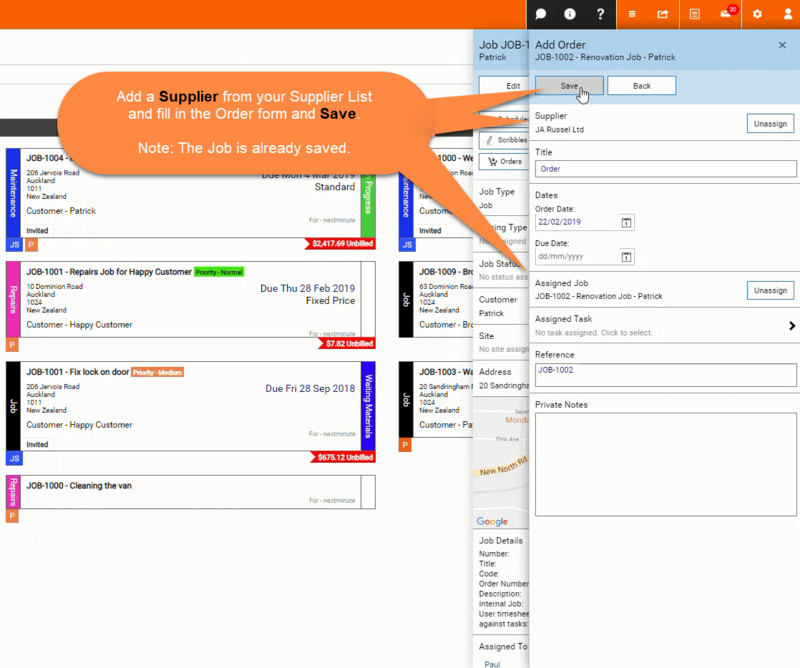 You can also create Orders from this page and link to Jobs.